Active holidays are the best option for those who want to explore new travel destinations in a different way, while doing some exercise along the way. Biking tours are increasing in popularity and if you decide to take your bike along on a vacation in Romania, the Transylvania region offers some of the most beautiful landscapes that you can admire while riding your bike, especially because of the fortified churches included in the UNESCO World Heritage List. Combining moments of relaxation and rest with fun activities outdoors is what makes a great holiday, so we offer some suggestions on how you can enjoy a pleasant vacation in Romania while biking. What better place to start your biking tour than Sinaia? This mountain resort is a popular ski holiday destination, but tourists who enjoy trekking tours in the mountains also seek it out. While in Sinaia, you have to visit Peles Castle. 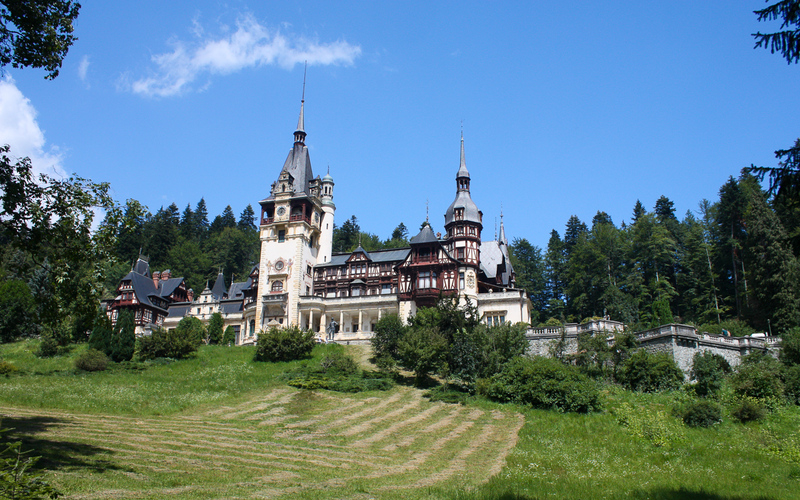 Peles Castle was built at the initiative of the first King of Romania, Carol I. Famous architect designed the plans for the castle or made their contribution during the construction works: Wilhelm von Doderer, Johannes Schultz, Emile Andre Lecomte du Nouy, Karel Limand and Jean Ernest. From Peles Castle, we suggest you go to Paraul Rece, from where you can cycle down on a mountain road to Bran Castle. It would be a shame not to visit the legendary Bran Castle, also known as Dracula’s Castle. 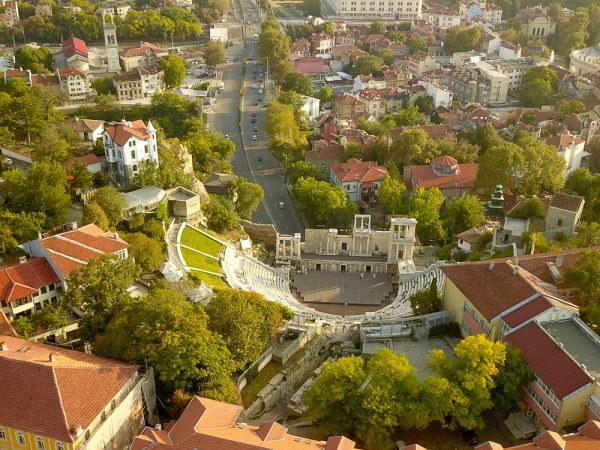 It’s true, the castle has little to do with the actual historical figure of Vlad Tepes (Dracula), but it does impress with its architectonic elements an rich history. The castle dates back to the thirteenth century, when Teutonic Knights erected the Bran fortress near Brasov. In fact, the name “Bran” means “gate” in Turkish, which is what the fortress was meant for: to protect the locals from Ottoman attacks, very frequent during that period. Starting with the fifteenth century, the castle belong to or was somehow connected to several Transylvanian princes: Mircea the Elder, John Hunyadi (Iancu de Hunedoara) or Vlad Tepes. 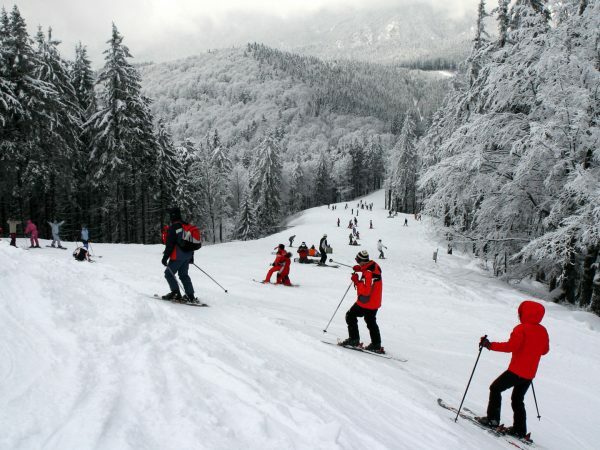 After arriving in Rasnov, you can also start biking through Postavaru mountains, all the way to the Poiana Brasov ski resort. The distance of approximately 40 km will be very pleasant as you will cycle through meadows and have a great view to the city of Brasov. The Rasnov Fortress is a popular travel destination, especially because of the great view it offers. 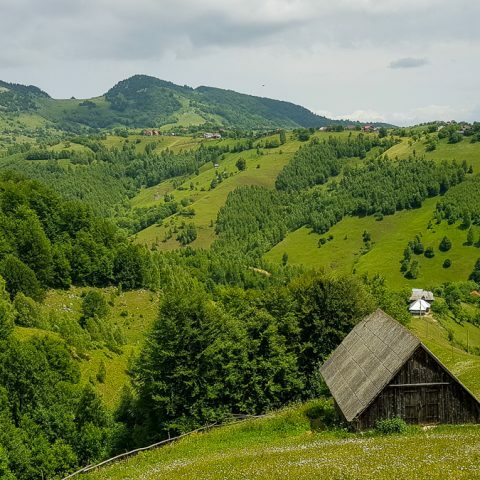 After that, you can start another biking round from Zarnesti, with a climb on the mountains up to 770 m. you will pass through a nice forested area, small mountain villages and pastures. A downhill ride will take all the way to the foothills of Fagaras Mountains. The biking tour ends after approximately 70 km, at the Sambata mountain resort. Nearby, you can visit the Brancoveanu monastery, that dates back to the seventeenth century. Starting your journey on a bike, you can visit several fortified churches in the hilly area between Sibiu and Sighisoara. Cincu, Dealu Frumos, Agnita, Iacobeni and Bradeni are all villages that are known for their beautiful Saxon fortified churches. The cycling distance of approximately 90 km ends in the town of Sighisoara, considered one of the most beautiful and well – preserved inhabited citadels in Europe. Taking another route, you still have plenty things to visit in the hilly region with fortified churches, situated west of Sighisoara. 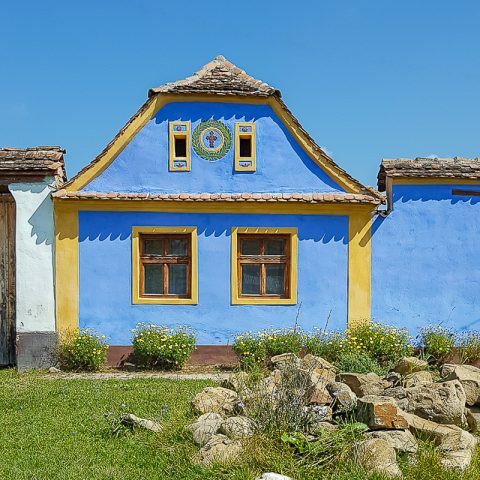 You can start biking approximately 25 km outside of Sighisoara, on a small peaceful road passing through several small villages and agricultural lands that make the Transylvanian countryside so charming. The villages you will pass through on this route are Biertan, Rechis, Altana and Hosman. The Biertan fortified church is included on the UNESCO World Heritage List. The ecclesiastic and complex was built during the fifteenth and sixteenth centuries in the late Gothic style, with specific Renaissance elements. This historic monument, an architectural masterpiece, is illustrative for the entire area which was colonized by the Saxons of Transylvania. Out of almost 300 fortified churches built between the fifteenth and sixteenth centuries, the church from Biertan preserved very well its previous aspect. 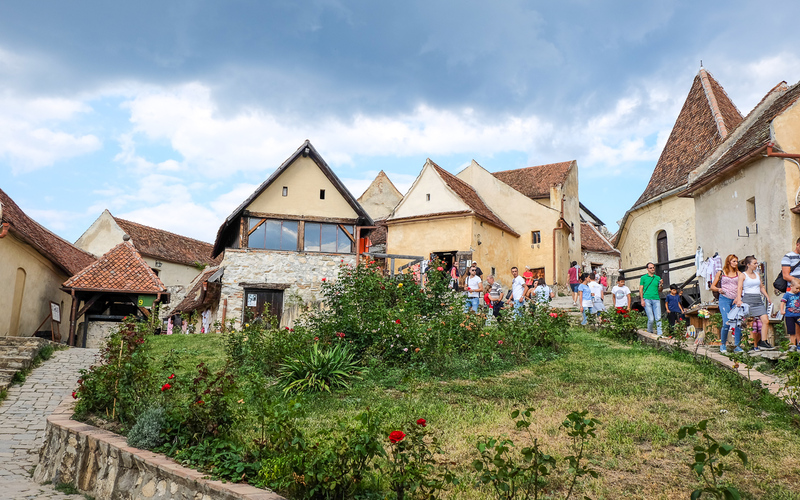 Finally arriving in Sibiu, the Astra open air museum is worth visiting, especially since it’s the second largest open air museum in Europe. The Transfagarasn is known as one of the most beautiful roads in Europe, but it’s not only for cars. Starting at the foothills of Fagaras Mountains, in the village of Cartisoara, you climb through coniferous forests on the Transfagarasan by bike. At the altitude of 1600 m, you will reach the tree line, where you can bask in the beauty of alpine landscapes in the Fagaras Mountains. You will pass the nearby Balea waterfall and continue biking on serpentines in the valley until you reach Balea Lake at 2030 m. The cycling distance is of approximately 35 km. On your way back, you can start biking downhill, exploring the southern slopes of the Fagaras Mountains. You will enter the green gorge of Arges river and reach Vidraru dam, a 165 m high dam wall. Nearby is the Poenari Fortress, the real location of Dracula’s Castle. You can finish your biking tour right before Curtea de Arges. This tour stretches on approximately 70 km. 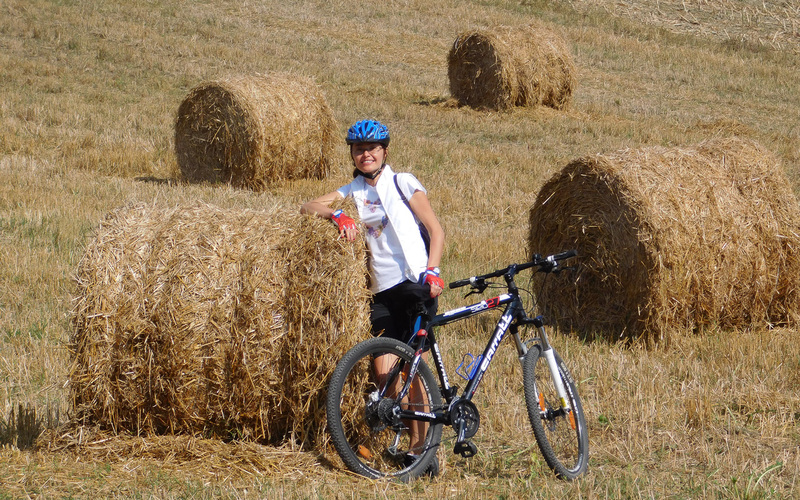 Keep in mind that the best season for a biking tour in Romania is during July to October and that biking requires a good physical shape , with resistance to low effort, but long duration. During the entire biking tour, you will have the assistance of a certified mountain guide. 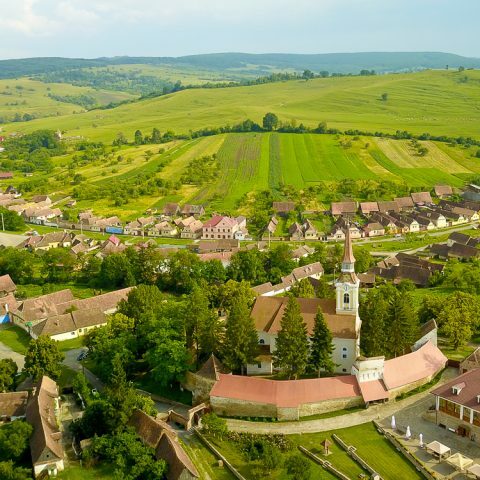 All these tourist attractions are included on our 8-day Transylvania cycling tour, but if you would like to visit only some of the fortified churches in Transylvania, you can also opt for a one-day fortified churches biking tour.